Web design platforms like Weebly have made designing, creating and hosting websites easier than it ever was before. With functions of adding attractive meta tags and descriptions, is it enough to get your website ranked high on major search engines like Google, Yahoo and Bing? Not quite! While meta tags and descriptions are an important part of any SEO strategy, the best SEO experts will tell you that these are not the only things that matter. From pay-per-click advertising, valuable content creation, social media marketing, and reputation building to keyword optimization, white-hat linkbuilding, engaging website creation, there are dozens of things that go into making any SEO strategy successful! backlinks, keywords, images and more. Get a risk-free, highly secure digital marketing campaign with our 100% money back guarantee should we fail to make your website start ranking within 30 days! Wix SEO For Your Project That Delivers All the time, Every Time! Without a doubt, our flagship client! With more than 12 projects active for the past two and a half years, Lice Trooper’s online presence has transformed with each passing quarter. Our Search Technicians, created a multi-tier, multi-pronged approach targeting 10 cities simultaneously in the state of Florida. Today their sales are through the roof! The keyword rankings highlighted below are a testament to Search Bergâ€™s expertise in Organic SEO. These rankings speak volumes about our expert SEO services and vast knowledge of digital marketing that we bring to the table, when working with clients. 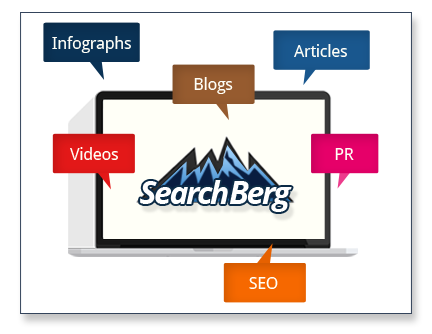 As of 2018, Search Berg has successfully completed 15,000 SEO projects on major CMS platforms, cementing our place as a leading SEO and Web service provider in the US for Weebly sites. Having been in the business for almost 10 years, we understand how search engines rank website. What’s in today is outdated tomorrow. That’s why our SEO experts are constantly keeping up with the latest trends and our SEO strategies is ever-evolving, contributing to our success. Harnessing the power of search engine trends and Google’s ranking algorithm, we optimize your Weebly website to reach the top of SERPs and gain maximum online presence and visibility. From keyword research and on-page optimization to content creation and link building,; our affordable full-service SEO projects offer clients results and a peace of mind. In today’s fast paced world making it to the first page is no longer enough—it’s about staying there. It’s about making it to the top 3 spots! Begin on your SEO journey with us! Get a free consultation in the form of a preliminary audit report and determine the best SEO strategy for your Weebly website today! Contact us for more details!